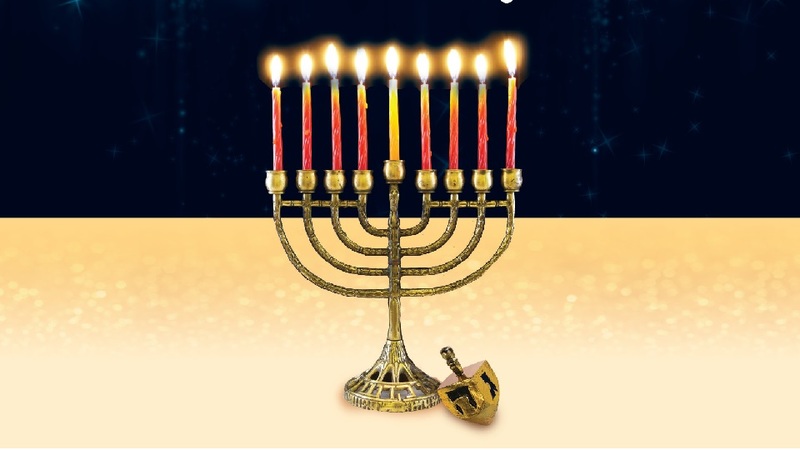 Hanukkah, which starts on 25 Kislev (beginning-to-mid December), is the Festival of Lights. It marks the beginning of our experience of the spiritual reality, the initial crossing of the barrier between the corporeal (egoistic) and spiritual (altruistic) worlds. Hanukkah’s concepts and customs—the war of the Maccabees and the Greeks, the Hanukkah miracle, the candle, light, oil and wick—all connect to the crossing of this barrier between corporeality and spirituality. In order to cross this barrier, we need to rise above our egoistic desires. This is the essence of the war between the Maccabees and the Greeks: it’s an inner war between a person’s egoistic desires, symbolized by the Greeks, and the aspiration to unite above them in mutual love and bestowal, symbolized by the Maccabees. However, since the ego is our very human nature, how can we muster the strength to overcome it? To make it more complicated, any altruistic desire we have is tiny in comparison to the ego, which constantly wants to absorb self-aimed pleasures into itself. That’s where the Hanukkah miracle comes in. If we’re persistent with our efforts to unite above our egoistic attitudes, we attract the spiritual force of unity, love and bestowal, called “the light.” Although our desire to unite is weak and almost imperceptible compared to our egoistic desires, the moment we reach a desperate point in our failing-yet-unrelenting efforts to overcome our ego, the spiritual light makes a miraculous appearance: it’s the help we need in order to overcome egoism, and become drawn to intentions to unite, love and bestow. This is the meaning of the Maccabees winning the war against the Greeks. We triumph when we, on one hand, feel obligated to win the war, but on the other hand, find ourselves out of options, helpless and desperate. That is considered as the attack of the Greeks. While under attack, we feel like we need to keep fighting with all we’ve got, yet with no victory in sight. However, we can’t and don’t give up, because giving up means remaining in the ego’s prison. The spiritual light of unity, love and bestowal illuminates. It charges us with its omnipresent energy, and we win the war. The war at Hanukkah is an inner war on the barrier between the corporeal and spiritual worlds, i.e. egoistic powers versus those of unity, love and bestowal. 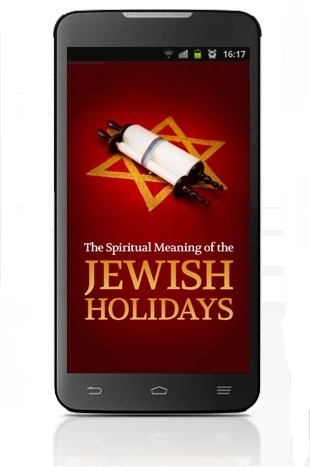 Our egoistic desires and thoughts are what stand between us and the sensation of eternity, harmony and wholeness, which is what we rejoice in when we win the war that Hanukkah symbolizes. Why Would Jews Go to War Against Each Other? If you thought the war at Hanukkah was between Jews and Greeks, think again. It was between Jews and Jews. We commonly think of the war at Hanukkah as being between the Maccabees and the Greeks. However, most of the battle was between the Maccabees and the “Mityavnim” (lit. “those who become Greek”). The Mityavnim were Jews who embraced Hellenic culture over their own, including converts into the pagan Greek belief system. Its significance is that it wasn’t merely a war between Jews and Greeks, but rather, a war between authentic Jews and Jews with a Hellenic tendency. Wars between authentic and inauthentic Jews permeate the generations. Since the establishment of the Jewish people, we have had to battle our evil inclination, that is, our natural, inborn egoistic attitude, which opposes unity and love for each other. There have always been those among us who refused to “lift the weight,” so to speak, resisting unity and dedicating themselves entirely to self-satisfaction. Moses’ story shows another example of the struggle between the authentic and inauthentic Jewish approaches: His devotion to collective love and unity “as one man with one heart” held the Jews together as a nation, saving them from escaping their tribes in pursuit of personal gains, which would gradually lead to their becoming their own enemies. The problem with such deviators is that they weaken the spirit of unity and let divisiveness spread. Therefore, instead of an atmosphere of love, peace, wholeness, harmony and happiness that come from uniting, there is a proliferation of hatred, conflicts, imbalance, tensions and unhappiness. Ultimately, this leads to ego-fueled wars that amass suffering and torments. The Jews who chose Hellenism renounced unity in favor of egoistic goals. They strove for power, control and knowledge, and aimed to tempt authentic Jews to give in to those values. The priest, Mattathias the Hasmonean, and those who followed him started the war at Hanukkah by inflicting casualties on Hellenic Jews. Knowing well that eradication of the authentic Jewish approach would mean eventual ruin both to the Jewish people and to humanity at large, the Hasmoneans had to rise up against the Jews who tried to detach them from their ultimate role to unite (“love your friend as yourself”) and pass that value of unity to the world (“be a light for the nations”). Therefore, at Hanukkah, we don’t celebrate our repossession of land. We celebrate our victory over the inclination among us that would have blocked humanity’s and our chances to reach unity, love, peace and lasting happiness. 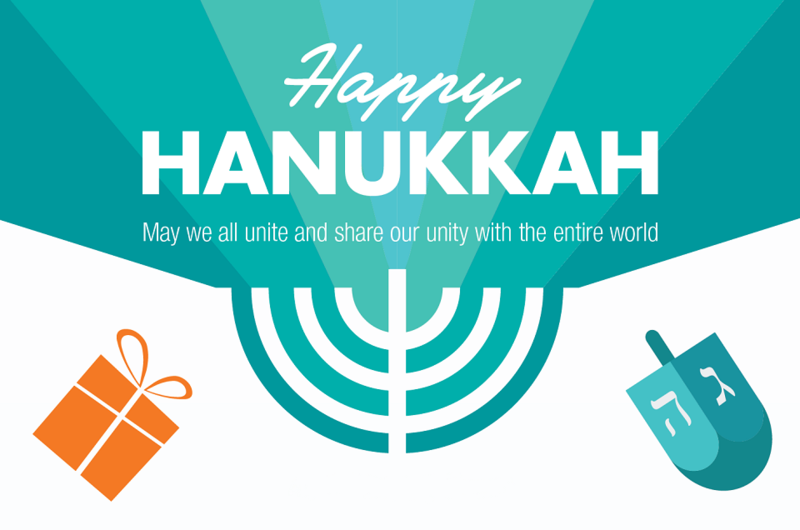 Hanukkah signifies the need to constantly fight the battle against our inner egoism in order to rise above it and discover a new, united world. When we persevere in the struggle to unite above our differences, then our differences strengthen our unity. Think of it like a large orchestra: many different instruments, pitch ranges, notes, rhythms and timbres that, playing harmoniously together, add to the richness of the overall music. However, when we stop trying to unite above our differences, then our differences weaken us and make us susceptible to destruction. Less than two centuries after the Maccabees’ conquest, we gave in to the growing social division, which brought about the destruction of the Temple and the exile from the land of Israel. However, our role in the world remains unchanged. In our modern times, the more social discord and its ensuing pains abound, the more people instinctively feel that the Jews are to blame for their problems. Thus, we see the outcome of a rise in anti-Semitic crimes and threats. As our world becomes ever more tense and violent, the threat of war fills our atmosphere like gas filling a small, closed apartment. All it takes is one spark of fire for the entire thing to go up in flames. 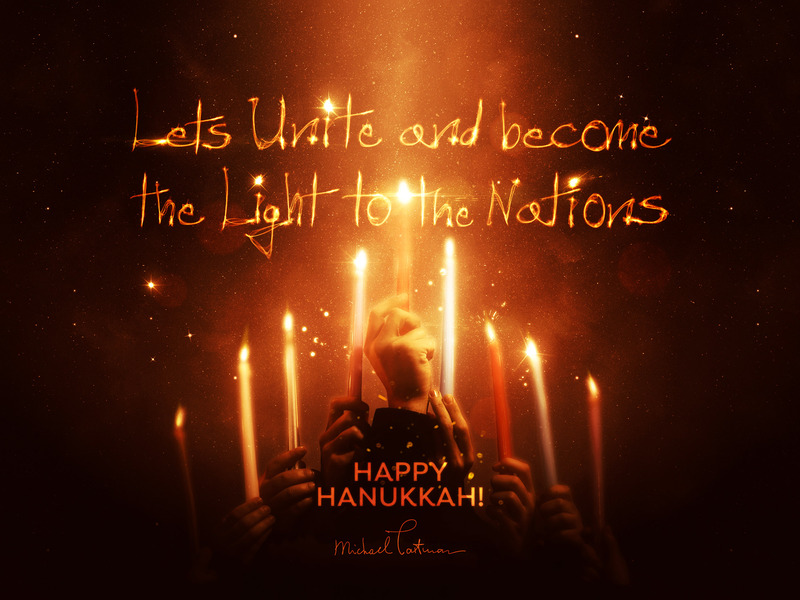 Therefore, we should use this Hanukkah, the Festival of Lights, to ignite the positive light that the world needs from us: the light of unity and love above the growing divisiveness. Moreover, today, we Jews are more separated than ever, and we are faced with the same choice that Jews have faced throughout history, with even more intensity than ever: Either we light the candle of unity among us and become the example of unity that the world needs from us, or we continue ignoring it with a “business as usual” approach, “agreeing” with the growing divisive atmosphere and inviting it to swing back at us in full force. Unity is how we defeat the division within and among us. May we use this Hanukkah to realize our role to unite and be a positive example of unity to humanity, and become modern-day Maccabees who win the war over our egoistic inclinations. We always have an attitude to everything happening to us, our environment, our loved ones and the world. If we add to that attitude the source of where it’s all coming from—nature’s force of love, bestowal and connection—then we enter an investigation of why it’s all happening, who it’s all happening for, who benefits from it all, and all kinds of similar inquiries. In order to constantly conduct this investigation, we find ourselves in an inner war over every state we go through. If we distinguish these states within our reason, with our intellect, emotion, understanding and all our ideas, it is considered a Greek approach. However, if we seek nature’s force of love, bestowal and connection above our reason—wishing to exit our current intellect, emotion and everything we know about ourselves, our life and our world—then this is considered the approach of the Maccabees. The Greek approach: deciding according to our current intellect, emotions and everything we know and feel about ourselves and the world, within reason. The Maccabee approach: deciding to exit everything we know and feel, and enter into a new world of love, bestowal and connection, above our reason, a world which we have no knowledge or feeling of. The oil is our desire to enjoy. We have to understand how to light it properly, i.e. so that we’ll enjoy not in a separated manner, for our personal benefit, but in a way that benefits others. We do so by creating a new wick in the oil. The wick is our opposition to using our desire solely to benefit ourselves. We aim for the wick to be equivalent to the upward, bestowing direction of the light. We erect the wick with our efforts to benefit others as much as we can resemble it to the light, to cancel our egoistic use of our desire to enjoy. Then, we’re ready to use it to benefit others. In our initial efforts to direct our desire to benefit others, we’re willing to benefit only a little amount, and thus our wick is short and thin. We constantly need to scrutinize our intention, to check that we’re aimed in a direction of bestowal, since new egoistic desires constantly surface in us. By doing so, we gradually scrutinize all our desires until we create a wick, a thin line that extends from me all the way to the world of Ein Sof (infinity). The highest extreme point of the wick is equivalent to the light itself, which is why it alights. Then, the darkness shines as light. This signifies the arrival of Hanukkah, the Festival of Lights. A small candle ignites among my enormous egoistic desires, a tiny part where bestowal and benefiting others alights. The tiny part of this desire that yearns to enjoy together with the spiritual light of love, bestowal and connection is considered as our soul. Upon initial contact, it is very small, but as we continue applying efforts to love, bestow and connect to each other, we gradually invert it all into light. The miracle of Hanukkah is commonly thought of as the tiny jar of oil, which was enough to burn candlelight for one day, ended up lasting for eight days. When we look at it from a deeper perspective, we see that there is no miracle here. To start with, it’s not talking about a physical candlelight and oil, but our inner desires (see “The Meaning of Oil, Wick and Candle at Hanukkah”). When we rise to the next spiritual level, we find different laws operating. A small jar of oil (i.e. our desire to enjoy) can burn for eight days. In our world, when we receive pleasure, it immediately becomes extinguished. For example, if we’re hungry and we eat, then our appetite disappears. However, in the spiritual world, we can constantly feel a desire to bestow and the fulfillment to bestow in a constant, eternal form. Even in our world, the more we evolve, the more we learn how to extract energy from sources we previously didn’t know how to use, or we learn how to use existing energy sources more efficiently. For example, we learn how a kilogram of material such as uranium could be more energy efficient than a mountain of coal. When we connect positively to each other, with a mutual aim to resemble the light of love and bestowal, then thanks to our positive connection, one small jar of oil can burn for eight days. Instead of the limited energy of an individual, we add infinite energy that stems from our integral connection and resemblance with nature’s integral form, and one combustion of energy can then last manyfold times more than what we’re used to. Our positive connection, with a mutual intention to benefit each other and resemble the spiritual light of love and bestowal, allows us to rise from our mortal world limited by time, space and motion, and enter the world of Ein Sof (infinity). It is not just an eightfold increase as in the miracle of Hanukkah. We literally rise to an infinite world. Doughnuts represent the oil, which represents the source of light. In earlier times, the only lamps people had were those that burned oil. That is why the symbol of Hanukkah is light: a light above us like the light of the sun, the light of life, the light of the burning oil. If we battle with everything we currently know and feel about the world in order to unite positively above it all, then a light, i.e. nature’s force of love, bestowal and connection, will suddenly appear and connect us. Then, with the help of the great force of love and unity that will become revealed among us all, we will be able to overcome any obstacle and conquer any fear. This is why the Torah’s principle tenet is unity: “love your friend as yourself.” It is the only condition we need to meet in order to draw the spiritual light of love and bestowal, which can unite us. The question is: Are we ready to unite “as one man with one heart” in order to adhere to this law of “that which you hate, do not do to your neighbor” and “love your friend as yourself”? Every instruction and condition to attain spirituality is aimed at unity, because through unity, we discover the spiritual world that is meant for us. As it is written, “May you see your world in your lifetime.” We were born into this world in order to attain the sensation of the spiritual world and live simultaneously, and harmoniously, in both worlds. It is a Hanukkah custom of spinning a dreidel that has the inscription of the Hebrew letters signifying the sentence, “a great miracle happened here,” and then seeing what letter it will land on. The spinning dreidel signifies our life. We spin and spin our life and eventually realize that it is only when we all spin ourselves together around one common axis, the aim to unite “as one man with one heart,” that we will reach our fulfillment and our goal. 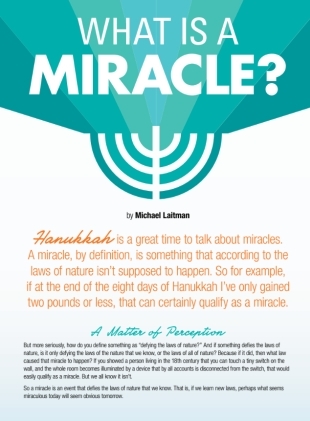 The Miracle Of Chanukah, Part 1 – Do You Believe In Miracles?